About Brain Injury | DougTrails! Each year, an estimated 1.5 million people in the U.S. sustain a traumatic brain injury. The impact on their families and caregivers is immense. This fact sheet discusses traumatic brain injury (TBI) and its consequences, and provides information about the helpful resources available to families caring for a loved one affected by TBI. Traumatic brain injury, also called brain injury or head injury, occurs when a blow or jolt to the head results in damage to the brain. 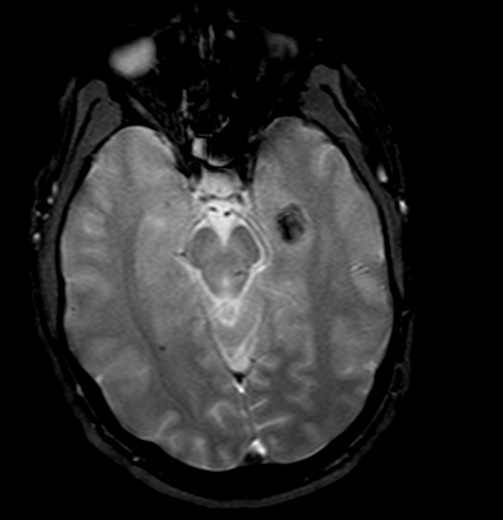 TBIs range in severity from mild to severe. Mild TBI occurs when a person has a brief change in mental status or loss of consciousness. The most common type of brain injury, a concussion, is classified as a mild traumatic brain injury. Mild TBI often goes undiagnosed and consequently the person suffering the injury loses out on the benefits of rehabilitation and medical care. Severe TBIs may involve loss of consciousness for hours or weeks and can result in permanent disability. Any TBI, whether mild or severe, can result in short- or long-term disability. Diffuse axonal injury – damage from tearing of the brain tissue (includes shaken baby syndrome and some bicycle, car or motorcyle accident injuries) <– This is the type I sustained. 5.3 million Americans, approximately 2% of the population, currently live with disabilities related to brain injury. Males are more than twice as likely as females to experience a TBI. TBI is most common among adolescents (aged 15-24) and older adults (75 and older). A TBI may result in mild, moderate or severe changes in one or more areas, including thinking, speech, physical functions and social behavior. The consequences of TBI can be lifelong for some people, while others may be able to recover and resume activities they enjoyed before the injury occurred. For further information about how to cope with behavior problems that result from a TBI, see the FCA Fact Sheet “Coping with Behavior Problems after Head Injury.”Prognosis (or Chance of Recovery)It is difficult to predict how well someone who has had a brain injury will recover, partly because there is no test a doctor can use to predict recovery. The Glasgow Coma Scale is used to determine the initial severity of a brain injury. It is often used at the scene of the accident or in the emergency room. This scale uses eye movements and ability to speak and move other parts of the body to determine the seriousness of the injury. Ask your doctor to explain the tests used to determine your loved one’s ability to recover.Your loved one’s prognosis will depend on many factors, including the severity of the injury, the type of injury, and what parts of the brain have been affected. Prompt diagnosis and treatment will help the recovery process. Avoid doing anything that could cause another blow or jolt to the head. Ask the doctor when it’s safe to drive a car, ride a bike, play sports or use heavy equipment, because reaction time may be slower after a brain injury. Take prescription medication according to the doctor’s instructions. Do not drink alcohol or use street drugs. Write things down to help with memory problems. Ask the doctor to recommend rehabilitation services that might help recovery, and follow those recommendations. The goal of rehabilitation is to help your loved one live and function as independently as possible. Rehabilitation helps the body heal and assists the brain in relearning processes so that an individual recovers as quickly and efficiently as possible. Rehabilitation will also help the person with TBI learn new ways to do things if any previous abilities have been lost. Physiatrists – doctors who are experts in rehabilitation medicine who typically oversee the rehabilitation process. Neurologists – doctors who are trained in the diagnosis and treatment of nervous system disorders, including diseases of the brain, spinal cord, nerves, and muscles. Occupational, physical, speech and language therapists – therapists that help the person regain thinking skills, communication skills, physical abilities and behavioral skills. Neuropsychologists – specialized psychologists who focus on thinking skills and behavior problems. Vocational rehabilitation experts – employment coaches who help with regaining job skills. It is important to remember that rehabilitation may last years and that your loved one will benefit from the ability to receive rehabilitation services throughout this time. Appropriate programs and treatments will also change as your family member’s needs change. Acute rehabilitation – an intensive rehabilitation program. Coma treatment centers – provide coma-specific medical care. Transitional living programs – nonmedical residential programs that teach skills for community living. rehabilitation to people with TBI who are not able to live independently. Behavior management programs – typically community-based (i.e., not residential) programs that teach self-control and appropriate social behaviors. Day treatment programs – provide rehabilitation during the day so the person can return home at night. The Brain Injury Association of America’s Guide to Selecting and Monitoring Brain Injury Rehabilitation Programs is a good resource for figuring out what questions to ask a rehabilitation provider and can help in choosing a rehabilitation facility. The Brain Injury Association of America also publishes the National Directory of Brain Injury Rehabilitation Services, which lists services in each state. In your role as a caregiver, you will probably find that it can be difficult to find appropriate and adequate services for your loved one. It is important to know that you will most likely need to be persistent in your search for assistance. You should use your network of family and friends, as well as professionals, to get tips about available resources.